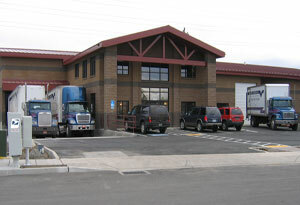 Juniper Paper & Supply of Bend – Walter E. Nelson Co.
Juniper Paper & Supply, located in Bend, is Central Oregon's leading supplier of janitorial and cleaning products. We have been introducing area businesses to the newest Jan/San equipment and supplies to solve their toughest cleaning problems since 1999. We also provide a variety of packaging and food service items for the convenience of single sourcing to reduce your total cost. At Juniper Paper, you will find an emphasis on environmentally responsible options for paper goods, cleaning chemicals and janitorial equipment and supplies. We help keep Central Oregon clean & green! Our representatives can visit your facility to analyze your needs and suggest the best product solutions. We always provide a quality product to adhere to any budget. We will keep it simple, efficient and cost effective.